Two common questions on the local property market... Will house prices ever come down? Is it better to buy now before GST? While speakers at the 24th National Real Estate Convention, comprising an economist and a few property consultants, try to provide some form of answers, new questions have cropped up, due to interest in the residential sub-segment of the property sector. Housing transactions comprised a big chunk of total property transactions in terms of both volume and value between 2008 and 2013, with prices taking an upward path at the end of 2009. During this five-year period, residential sub-segment formed an average of 48% and 63% of total value and volume of the total property market. This has led to house mortgages taking up a major part of the total lending. Hence, the increase in household debt. Yeah Kim Leng, the dean of the School of Business at Malaysia University of Science and Technology says the property market is “shaped by so many forces” and must be view against the national and internationl global economy. While Malaysia has been enjoying five years of growth of between 5% and 6%, the country has to focus on the long-term prospect against the ever-changing national and international backdrop. He says Malaysia’s issues with regards the property sector are not unique – other countries are also dealing with their respective challenges in the property sector. “The current global economic conditions are important to the Malaysian economy, which, like other countries, has been impacted by ‘cheap money’ and low cost of financing,” he says. He says just as growth is uneven in different countries, so are the property markets in the developed and developing countries. Prices are rising in UK and Australia, stable in Germany, easing off in the US and falling at a slower pace in Spain and Greece. In China, prices are falling while Singapore property prices are in a state of flux, rising and falling. The question today is: How long does it take for property markets (in the world) to recover? On the home front, Yeah says, the local property prices are not sustainable. Prices are rising faster than income. “We are over-leveraged and any increase in debt should be in relation with our income level,” he says. Financial institutions’ exposure to the property and construction industry in 2013 were massive. Loans-to-deposit ratio hovered at 80% at the end of 2013, with almost 45% going into propety sector, says Yeah. Banks are flush with cash, but our household debt is no longer sustainable (for us to borrow anymore). Our property loans suggest that we have reached a stage where we need to rebalance credit growth, says Yeah. “Property prices are also no longer sustainable. The questions to ask are: How fast are property prices cooling? How sustainable are price increases? The conclusion is that there may be some form of soft landing in the property sector. Despite this rather sombre introduction, Real Estate and Housing Developers’ Association Malaysia (Rehda) president Datuk Seri Fateh Iskandar Mohamed Mansor is adamant that prices will not come down because land prices and cost of construction are not coming down. > financing and profit margin. “All five are subject to cost pressures and are on an upward trajectory,” Fateh Iskandar, who heads the Glomac group says. The daily wages of construction workers have risen by 81%-200% between 2007 and 2013. Building materials like cement, steel bars and bricks have gone up 15%-50% between 2009 and 2013, he says. Corporatised utility companies like Tenaga Nasional Bhd (TNB), the water concessionaires, Indah Water, Telekom and the Construction Industry Development Board are frontloadiing capital expenditure to consumers by imposing it on private developers, who then pass the costs to house buyers, says Fateh Iskandar. Compliance costs relate to local authorities’ planning requirements which involves issues like density vs plot ratio, development charges and other planning specifications. These are also passed on to buyers. “Construction cost makes up 46%. If a developer’s background is agriculture, his land cost may be as little as 10% but for others, this may be 20%. Lenders are imposing stricter requirements when it comes to end-financing and bridging finance issues,” he says. Since last year, and increasingly this year, the inability to get a mortgage loan has resulted in many walking away from a purchase. “People want to buy but they are unable to get a loan,” says Fateh Iskandar. About 80% of households earn less than RM6,900 monthly, and of this, 40% earn less than RM2,000, which explains why many are forced to walk way from a purchase, he says. Assuming a RM500,000 loan for 30 years, with a 10% downpayment and 90% financing (base lending rate of 6.85% less 2.40%), the monthly repayment is about RM2,519, says Fateh Iskandar. He says the loan rejection rate is 35%, 30% and 26% in Selangor, Kuala Lumpur and Penang the last two years compared to 20%, 20% and 13% respectively. Foo Gee Jen, managing director of CH Williams Talhar and Wong Sdn Bhd offers no silver lining. He sums up the state of the housing situation in the Klang Valley with several observations. Among the most obvious is that speculative activities of the last several years have resulted in high sales but this is accompanied with rising vacancies. Foo says investors and speculators are buying, or have bought, residential properties that genuine homemakers do not want (because they are either poorly located or are too small.) Foo draws attention to the small office, home office market and its variances. Other concerns include the high house prices in non-prime locations. New launches in Semenyih and Rawang now cost almost 65% to 75% of those in Petaling Jaya and Bandar Utama, he says. 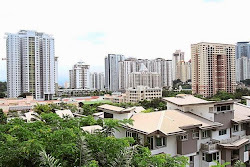 In Iskandar Malaysia, Johor, Chinese developers have flooded the high-rise market. Development trend has switched from high-rise to landed. The key trend in Klang Valley’s housing market today has more developments near infrastructure projects, rail and highways.